Suffering from chronic pain affects every part of your life, and that includes those precious hours of sleep that you hope may grant you some relief. 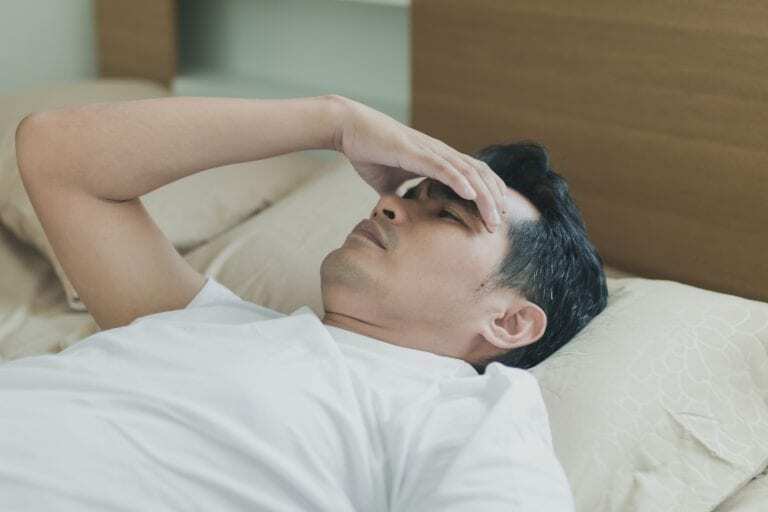 Unfortunately, it’s difficult to get any kind of rest when you’re in a near constant state of pain, aggravated by the fact that not getting enough sleep is an excellent way to make the pain you’re already experiencing worse. The cycle that ensues is clear, poor sleep, more pain, poorer sleep, more pain, insomnia forever! So how do you get the precious sleep you need to help combat the pain you live with every day? Lying around in bed tossing and turning isn’t going to be helpful to you, and can, in fact, make the situation even worse. The stress that comes with being unable to sleep can make it even harder to fall asleep, so if you aren’t asleep within half an hour, just get up and do something that wears you out. Research has shown that sleeping in rooms that are too warm can actually make your sleep less restorative. The solution is to turn on a fan or crack a window to let a breeze come in. It will reduce the ambient temperature of the room and help you sleep better. If laying down on the mattress doesn’t bring some form of blessed relief, then it may be time to start looking into getting a new one. While you’re at it consider if your pillow is supporting your neck properly, and what position you find the most comfortable to sleep in. All of these may suggest things that will help you rest at night, such as knee pillows, neck wedges, etc. While caffeine is no good after dinner, that doesn’t mean that you should avoid tea altogether. There are plenty of herbal teas out there made with ingredients that will help you settle in and rest, like chamomile and lavender. Drinking a warm, soothing cup of tea as you settle in for the night can be a great way to help you drift off to sleep. There’s an exciting concept that’s gaining some traction called “Forced Worrying.” This practice is similar to journaling, but rather than writing down your thoughts and an account of the day you sit down and write down all the things that you’re worried about. Once you spend 10 or 15 minutes doing that you take a deep breath, tell yourself you’ve done your worrying for the day, and go to bed. If you suffer from chronic pain and are looking for additional information on how to combat pain-based insomnia, give Dr. Tom Bromberg a call. He and his team of associates at the Delaware Valley Pain & Spine Institute have been helping patients live full, happy lives through pain management and treatment in the Chalfont, Trevose, PA, and Marlton, NJ areas. Don’t lose another night of sleep to chronic pain, call Dr. Bromberg today!